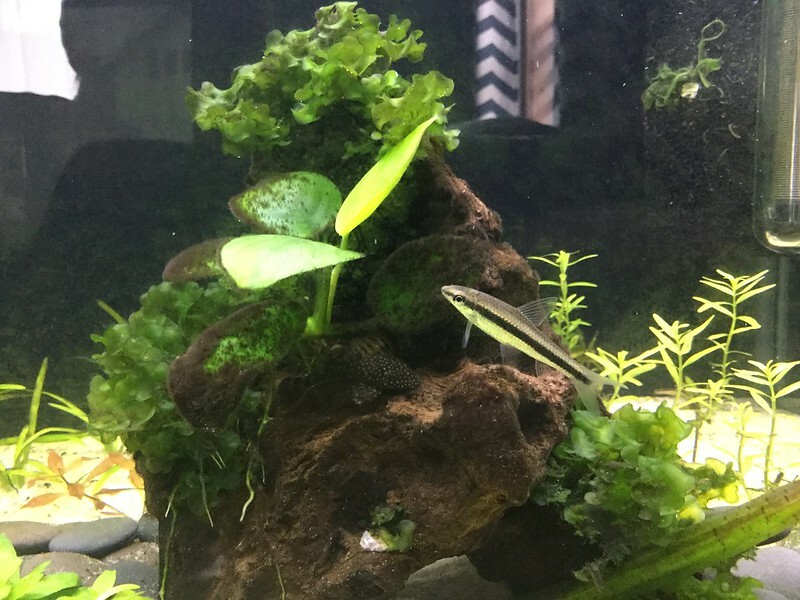 The Planted Tank Forum > Specific Aspects of a Planted Tank > Fish > True SAE? Drove 25 miles for this little guy. I was fairly confident talking to the Petsmart guy talking him through ID and when I got there I was more confident. Just wanting to check for sure with people that have had them before that this is a true SAE. Listed as Crossocheilus siamensis, Siamese Flying Fox in the store. I swear with difficult to identify species they should just leave out common names! Bump: It's a gorgeous SAE. its the Real deal, what kind of pleco is that? Curiously, I was sold mine out of a tank labeled "Siamese algae eater/Siamese flying fox" but they definitely have their black stripe continuing into the tail and they're definitely fond of black brush algae.